For over 50 years Cooinda has served the communities of Terang, Camperdown and the surrounding district providing a quality range of supports to people with a disability and their families. Our mission is to be a builder of a socially inclusive community where people of all abilities are engaged and valued. 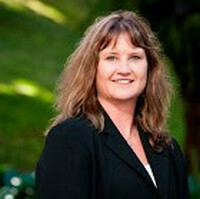 Cooinda is a community managed disability service with local governance and is strongly connected and integrated with our community through partnership with the public, business, education and service providers that open doors and opportunity for participation. Our services range from in-home community based support, fully supported accommodation options, short term accommodation, a range of day activities that may either be centre or community based and a range of lifestyle programs on weekends and evenings. The diverse range of people who use Cooinda support options can choose from a quality suite of programs, and opportunities to develop skills and enhance a person’s quality of life. On the 12th of December 2016, Cooinda Terang Inc, a disability provider in southwest Victoria opened the ‘Little Acorn Café’ at 137 High Street Terang. Cooinda in mid-2016 took up an opportunity to lease the former maternal child health centre from the Corangamite Shire and have done extensive remodelling and outfitting to both the café and to a new commercial standard kitchen at our Dow Street Day Program premises. The café is a wonderful opportunity for staff to support participants in a great learning environment, to interact with the public and promote mainstream roles for people with a disability to our community. We have 2 staff rostered to the café each day, along with a part-time chef. Alongside them participants are involved as a part of their Day Program activities, in all elements of hospitality, customer service, food handling and preparation. All participants have completed their food handling certificates. Since opening, we have seen great outcomes for participants; each has taken great pride in their work, their presentation and their valued role and each has learned new skills along the way. The emphasis of the café is on great coffee and quality food: you will not find a deep fryer or grill in the café! Healthy meals, fresh salads and smoothies, great cakes and slices, and the best coffee for miles around. Cooinda have also had support from the Terang Op-Shop, Terang Co-Op, Western District Employment Access, and Corangamite Shire, in establishing this program. 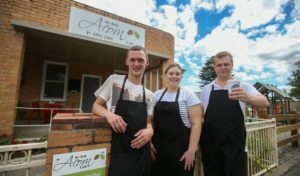 A unique new cafe in Terang, The Little Acorn, is touting its coffee as the best in town. But the coffee isn’t the only special thing about the cafe – it’s also run by a local disability services provider, Cooinda Terang, and provides people with the opportunity to develop hands-on skills. Brodie Cook, 20, has been attending Cooinda for about a year and he was picked as one of 10 participants to help run the cafe each week. Mr Cook, who has worked about five shifts since the cafe opened on December 12, said at first he wasn’t sure about the idea. “At the start I said ‘no’, but then I changed my mind,” he said. Mr Cook does dishes and other jobs at the back of the cafe, and serves food to people. The cafe came to fruition after council approved plans to develop a former maternal child health centre on High Street. Mr Hose said the project was made possible by Corangamite Shire, and by also generous contributions from the WDEA trust and an op shop. The cafe serves healthy food, and also features a shop with locally-produced goods. Mr Hose said the cafe would provide positive opportunities for participants in Cooinda programs. “There are a lot of younger people attending Cooinda, a lot of people who aren’t people I would like to see staying in a disability system for their lives,” he said. “I think they’ve got a great opportunity and great potential to be part of the work force, particularly with the NDIS coming next year. Mr Hose said the public had been very supportive of the cafe in its first few weeks in operation.